That's less than both the two previous entrants in the Dead Rising franchise. 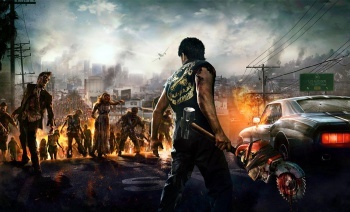 Capcom's most recent financial statement includes some future predictions, among them Dead Rising 3 sales estimates. The Xbox One exclusive launch title is expected to sell 1.2 million units in North America and Europe, less than either Dead Rising (1.8 million) or Dead Rising 2 (2.7 million). Part of that lowball estimate may be down to caution; as an Xbox One exclusive it can only sell to Xbox One owners, and there's no telling how many of those there will be, or how many of that total are really interested in Capcom's zombie title. But it's also part of an overall projection that assumes a fall in boxed game sales in North America and Europe, in combination with a rise in global download sales. Sales units shipped are expected to fall about 35.2% year-on-year in North America, and 47.2% in Europe, while in Japan units shipped are expected to rise by 40%. But the big increase in sales is expected to come from full-game downloads worldwide, which - if Capcom is right - will rise to 148.1% of the F/Y 2013 total. It's expecting a sales bump - Â¥2.925 billion net sales increase, or approximately $29.645 million - and net income for the year should be well in the black, if all goes according to plan. So far, the only real disappointment for Capcom has been Lost Planet 3, which moved only 300,000 units, "below expectations in Europe and North America," says Capcom. But there could be good news ahead; among the other tidbits in the financials is mention of a closed beta test for a new original series PC browser game, with a December public release scheduled.